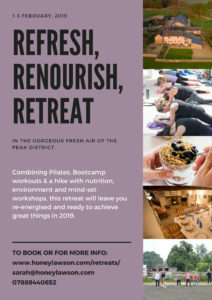 Fancy trying a Pilates class in Nottingham with a difference? CONCENTRATION. CENTERING. CONTROL. FLOW. PRECISION. BREATH. Sarah Honey Lawson is an experienced group fitness instructor, having taught classes ranging from outdoor bootcamps and boxing to HIIT sessions and Pilates. She has created her own method of training that combines low impact moves with high intensity effort levels, meaning you can stay strong and injury free. 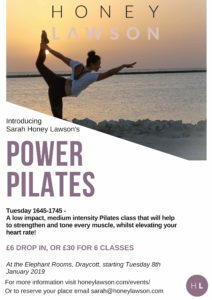 Read on to find out where you can do Pilates with Sarah in Nottingham and Derby. 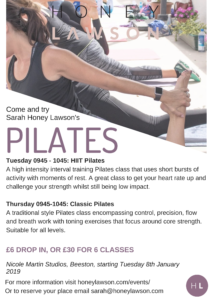 A low impact, medium intensity Pilates based class that will see you flow through traditional Pilates exercises, building strength and giving you a great stretch. Performed in a room heated to 35 degrees, this is a high intensity, low impact, interval class based around classic and modified Pilates movements. This class will challenge you, and change you! Designed to work the whole body, including the muscles you forgot about, we work to build a strong foundation through core and glute work, followed by total body moves to strengthen, tone and stretch. First class free! You can book using the MindBody app. A traditional style Pilates class encompassing control, precision, flow and breath work with toning exercises that focus around core strength. Suitable for all levels. Book your spot by emailing sarah@honeylawson.com, or just turn up! 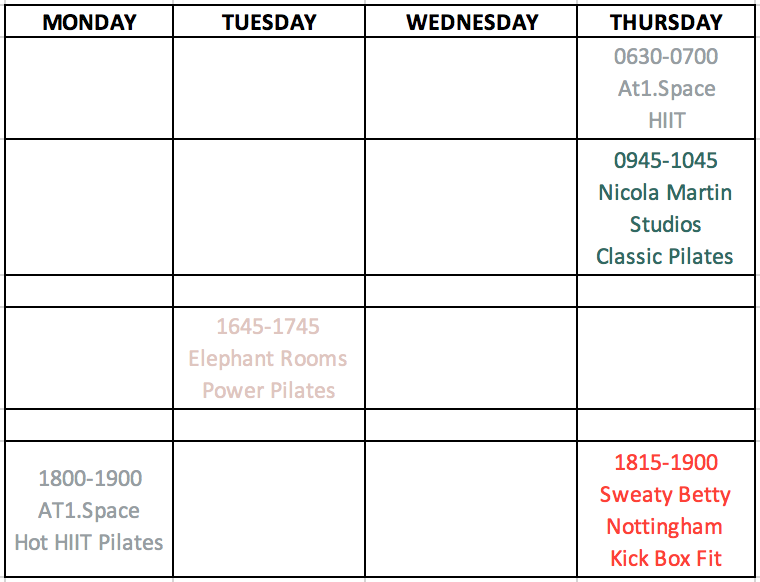 Drop in classes are £6, or it’s £30 for a 6 class pass, expiring after 3 months. 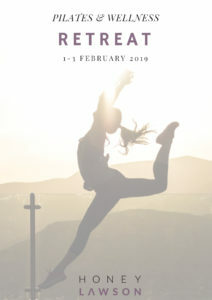 STAY TUNED FOR DETAILS OF THE NEXT RETREAT, COMING SOON!